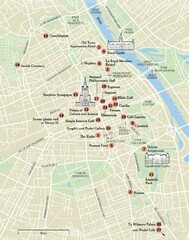 Warsaw, Poland Tourist Map showing roads, mass transit routes, and parks. 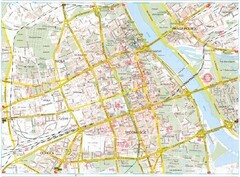 City map of Warsaw, Poland showing tourist sites, parks and major roads. 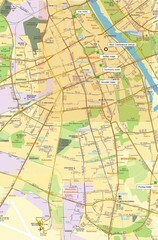 Map of Warsaw University and surrounding area.